I have so many clothes to wear, say no girl! The closet need to be updated every season to walk along the trend and latest fashion. As much as it can be exciting, it can also make hole in your wallet which can be a real problem. What if there is some place where you can find latest dresses for women on very reasonable price. Yes such place exits and let me introduce you to it. It is called Fashionmia.com. It have an amazing collection of dresses starting from less then $10 to maximum $40. Let me show you few from their wide collection. 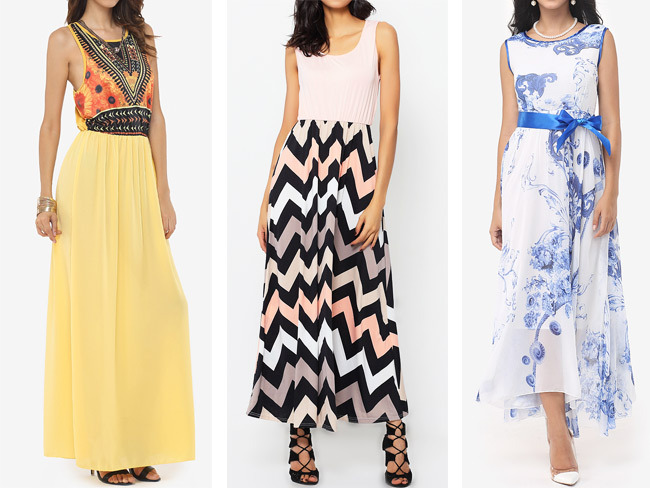 The summer is all about light, airy and flowy dresses. Whether you need something for every day casual wear or packing for vacations. The dresses for women on Fashionmia got every thing you need. Bohemian yellow maxi dress is perfect pick if you are planning the day to spend on beach while chevron striped maxi dress with plain pale pink top can be your pick for shopping or day out with friends while floral chiffon maxi dress is some thing you can wear on family lunch or dinner. Going back to school and work after long vacations need something which can give you fresh look and boost your confidence. With low budget you can get cheap clothing from Fashionmia and build your work closet to fight the blues of work place. Flared chiffon floral print is perfect for fresh start up at academics. White top with flower pattern doubled with dark purple chiffon upper is something to boost your confidence and you can walk like you can conquer the day while printed leaf green skater dress with band collar is classy to wear for work or academics meetings and gatherings. You have special event coming your way and need a dress to impress so Fashionmia got you covered. They have amazing special occasion dresses on very reasonable price which are unique and are of latest trend. Get a beautiful dark purple chiffon maxi dress with lace patch work on light color top which is perfect for both day and night. If you have a summer day party or a girl day out pick floral dusky pink chiffon skater dress which looks sophisticated yet trendy and for formal night event what can be better then sequin black long dress. 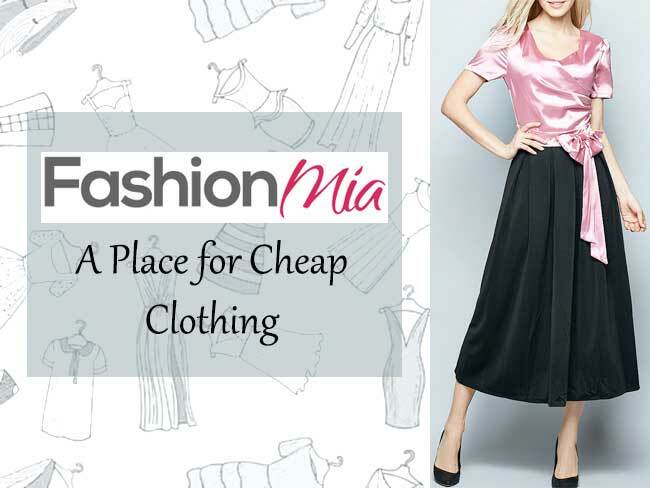 Fashionmia is certainly a place for cheap clothing but with wide range of latest designs and good quality fabric. If you want to build your closet and do not want to spend fortune on it then this the perfect place for you. Currently they have many on going sales and offers related to Olympics and back to school special so do not miss the chance.